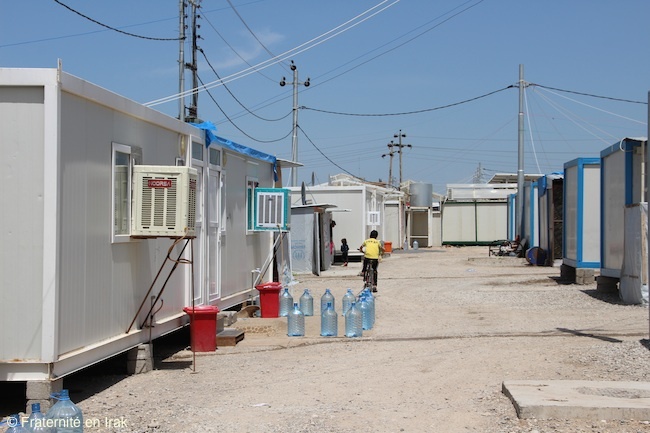 ACTION – In Ashti camp in Erbil, where close to 7,000 displaced people live, 38 trailers homes paid by the government of Kurdistan were refurbished by the Brotherhood with Iraq. They offer decent living conditions to 38 families until they are able to go back home. 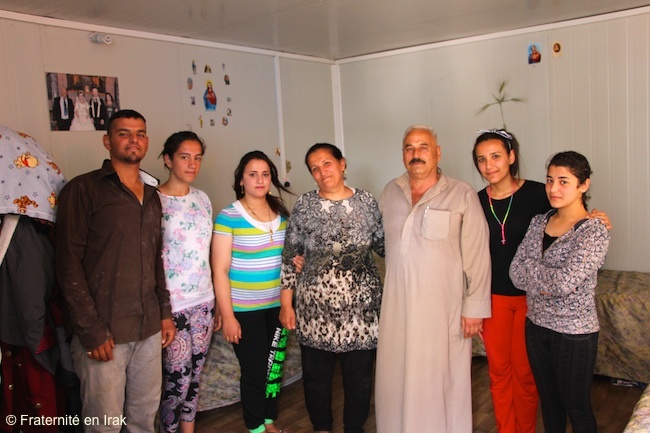 Among the thousands of families who, in their own country, took refuge in Erbil, the capital of Iraqi Kurdistan, some were able to find houses or apartments to rent since their arrival in 2014. But as months went by, and with them the hope to be able to go back to their villages soon, many can no longer afford the rent. That is how 38 families, chased from their homes by ISIS, and who had lived in rented houses or apartments, have settled in Ashti camp, in new trailer houses funded by the government of the autonomous province of Kurdistan, and refurbished by the Brotherhood with Iraq. Construction work started last February. The 4 x 8m trailers (4.3 by 8.7 yards), which are larger and roomier than the other trailers in the camp, were set up in the spring. A true relief for the new residents – about a hundred – who now face the upcoming months with more serenity. Indeed, despite a lower level of comfort, not having to spend a significant amount of money each month greatly changes future prospects. With one of the re-homed families. Seven adults living in 344-sq ft: the living conditions are austere, but they are better than before, say family members. “We spent several months in difficult conditions in Shaqlawa, close to Erbil, said the father to members of the Brotherhood with Iraq. We were renting a house with several other families to keep the cost low. Not only were we running out of money to pay the rent, but I also haven’t been able to find a job in Shaqlawa. 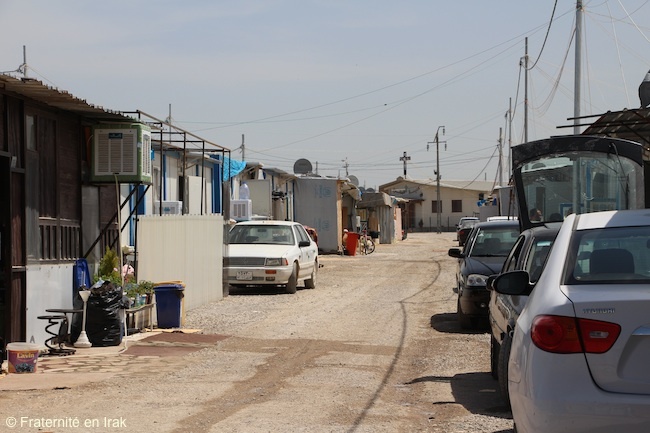 I hope that by settling in this camp close to Erbil, a much bigger city, I will be able to find something…” His son, John, immediately found work in Ashti camp. A blacksmith, he has set up a small business and offers trailer home extensions to the other inhabitants. 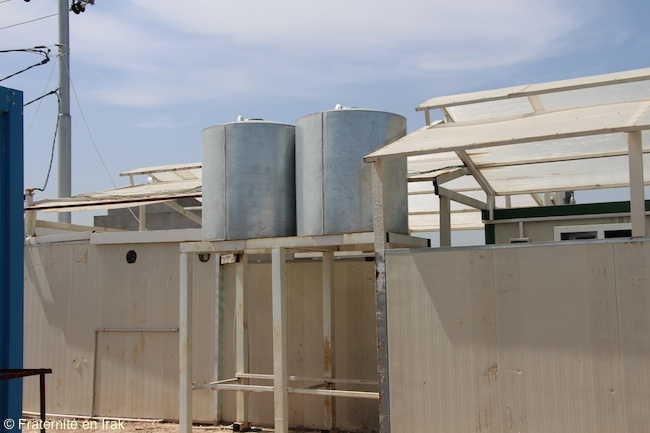 The Brotherhood with Iraq funded the trailers’ connection to water and power, as well as the installation of water tanks on the roof, just as all other trailer homes in the camp, and interior layout, besides furniture. This last part is left to the families, who often come with their modest belongings, and decorate the walls of these humble houses to their taste.